The Russian Ambassador to Turkey Andrei Karlov speaks a gallery in Ankara, Dec. 19, 2016. The body of Russia’s Ambassador to Turkey, Andrei Karlov, killed in Ankara on Dec. 19, is scheduled to be airlifted to Moscow on Dec. 20, Russian embassy spokesperson Irina Kasimova told TASS. "Later today, a mourning ceremony with a limited number of participants will take place at the airport, Turkey’s diplomats and high-ranking official are expected to attend the ceremony. After that, the ambassador’s body will be delivered to Russia, his family, the embassy’s doctor and psychologists from Russia’s Emergencies Ministry who arrived from Moscow, will accompany the body," Kasimova added. She pointed out that upon the orders of Russia’s authorities, an investigative team had been formed that was expected to arrive in Ankara soon. "The team comprises officers from the Emergencies Ministry and the Investigative Committee. They will work together with Turkish investigators," the diplomat said. According to her, "in compliance with the Russian president’s order, Russia’s embassy will put forward its suggestions on recommending Andrei Karlov for a state award and memorializing him." "We believe this attack to be a provocation aimed to undernime the improving bilateral relations as well as prevent an effective fight against terrorism in Syria," Kasimova stated. 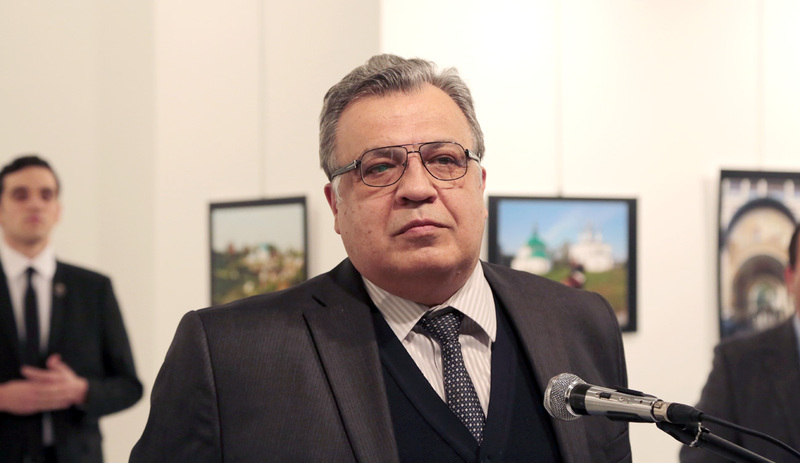 Russian Ambassador to Turkey, Andrei Karlov, was shot dead while he was delivering a speech at the opening ceremony of a photo exhibition dubbed "Russia from Kaliningrad to Kamchatka through the eyes of travelers". According to Turkey’s authorities, the attacker, who was a police officer, was neutralized by security forces. The attack also left three people wounded. Russia’s foreign ministry called it a terrorist act while the Investigative Committee opened a criminal case labeling Karlov’s assassination an act of international terrorism.